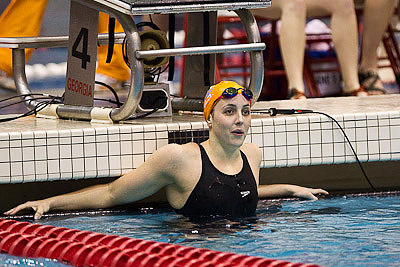 The women Tennessee Vols take the 200 medley relay in the opening night of the 2010 SEC Swimming and Diving Championships. The team of Jenny Connolly, Alex Barsanti, Kelsey Floyd and Michele King took the event in an NCAA "A" qualifying time of 1:37.32. 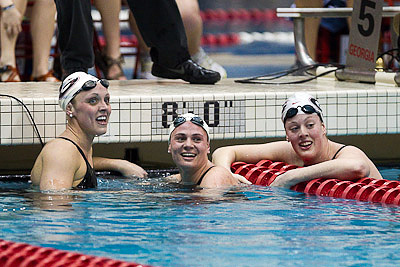 The Georgia Bulldogs team of Morgan Scroggy, Allison Schmitt, Chelsea Nauta and Kelly McNichols win the 800 freestyle relay in an NCAA "A" qualifying time. 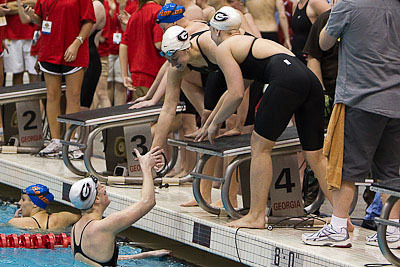 Chelsea Natau, Wendy Trott and Allison Schmitt celebrate Georgia's 1-2-3 finish in the 500 freestyle. Michele King of Tennessee wins the 50 freestyle in 22.06. 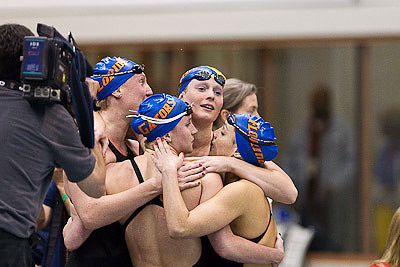 The Florida women's team of Shara Stafford, Gemma Spofforth, Sarah Batemen and Stephanie Napier celebrate victory in the 200 freestyle relay at the 2010 SEC Swimming and Diving Championships. 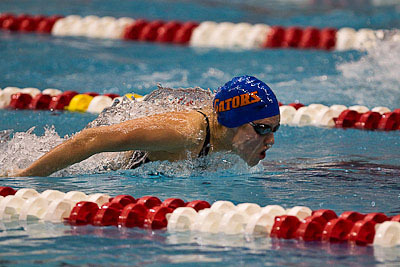 Florida Sophomore Teresa Crippen captures the 400 individual medley in 4:05.07 at the 2010 SEC Swimming and Diving Championships. 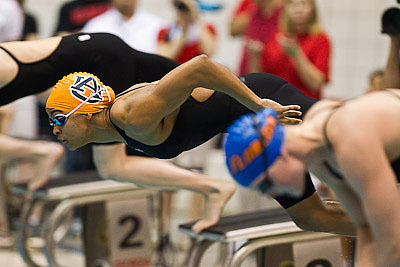 Auburn University sophomore Arianna Vanderpool-Wallace wins the 100 butterfly in 52.55, touching out Florida's Jemma Lowe by 3/100's of a second. 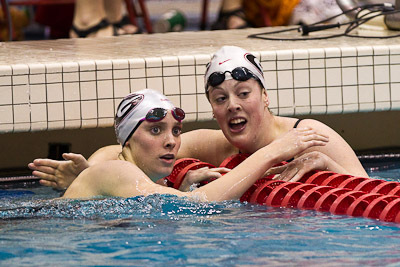 Georgia teamates Morgan Scroggy (1:45.66) and Allison Schmitt (1:45.65) take the top two spots in the 200 freestyle. 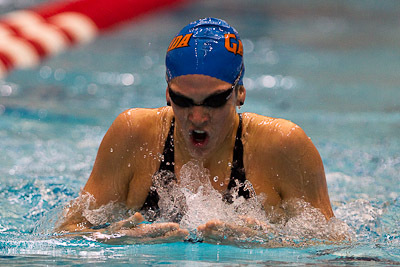 Gemma Spofforth of Florida swims to victory in the 100 backstroke in 50.91. 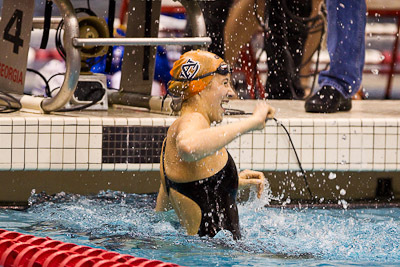 Auburn seniors Mellisa Marik and Ava Ohlgren celebrate their team's victory in the 400 medley relay. 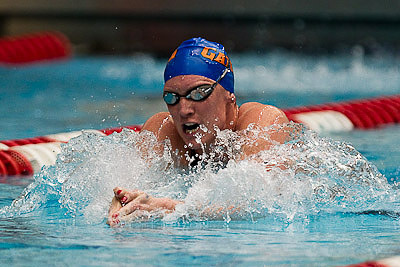 They were joined by Micah Lawrence and Adrianna Vanderpool-Wallace in attaining an NCAA "A" cut in 3:31.83. 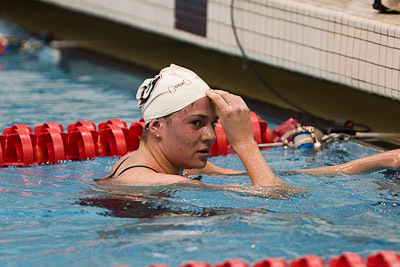 Wendy Trott of the University of Georgia wins the 1650 freestyle in 15:47.55, setting an SEC Meet record. 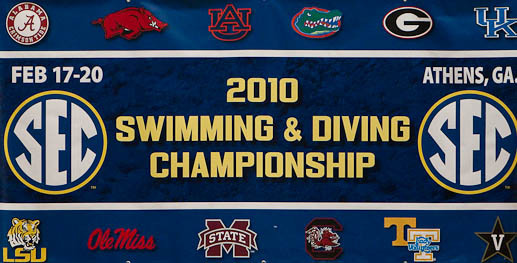 17 Malagon, Erica   SO Georgia                NT   16:40.51 "B"
Gemma Spofforth of the University of Florida wins her third individual event of the 2010 SEC Swimming and Diving Championships by taking the 200 backstroke in 1:51.93. 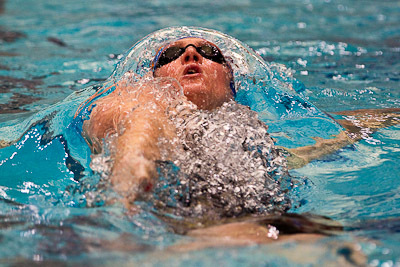 She earlier won the 200 individual medley relay and 100 backstroke. 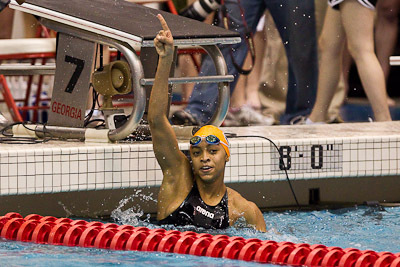 Arianna Vanderpool-Wallace of Auburn University takes her second individual win of the 2010 SEC Swimming and Diving Championships with a 47.93 in the 100 free. 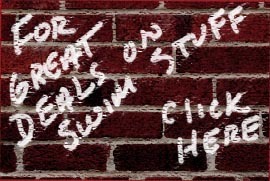 She earlier won the 100 butterfly. 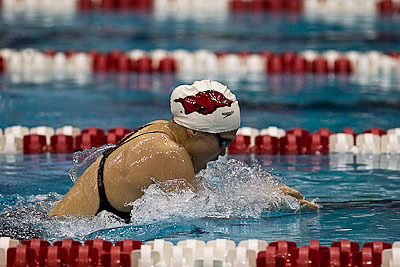 Yi-Ting Siow of the University of Arkansas wins the 200 breaststroke in and NCAA "A" time of 2:09.23. 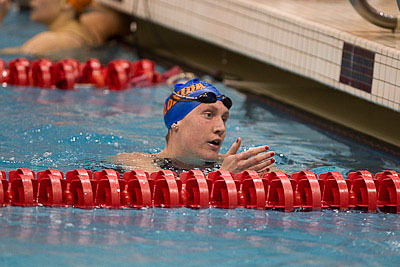 Jemma Lowe of the University of Florida wins the 200 butterfly in 1:54.76 at the 2010 SEC Swimming and Diving Championships. 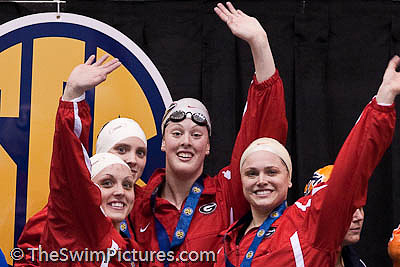 The Georgia team of Morgan Scroggy, Megan Romano, Chelsea Nauta and Allison Schmitt win the 400 free relay in 3:14.09.